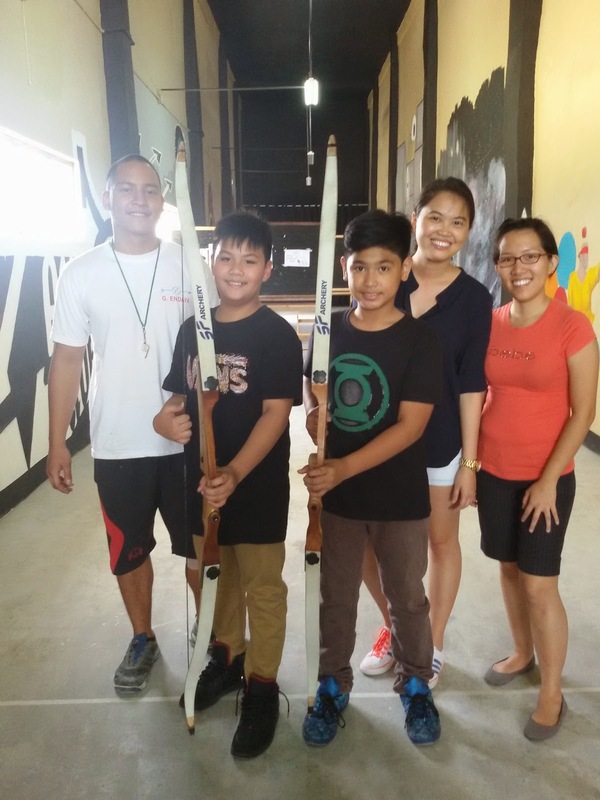 A few weekends ago, my son and I were invited by Rica Tai of Archery Academy Manila to swing by their archery center located at Intrawest Centre along Annapolis St. Greenhills, and try the sport. I didn't have any second thoughts about giving in to the invitation, so saying yes was easy for me. Besides, it will be my and Dandré 's first encounter with Archery and it definitely is worth a try! 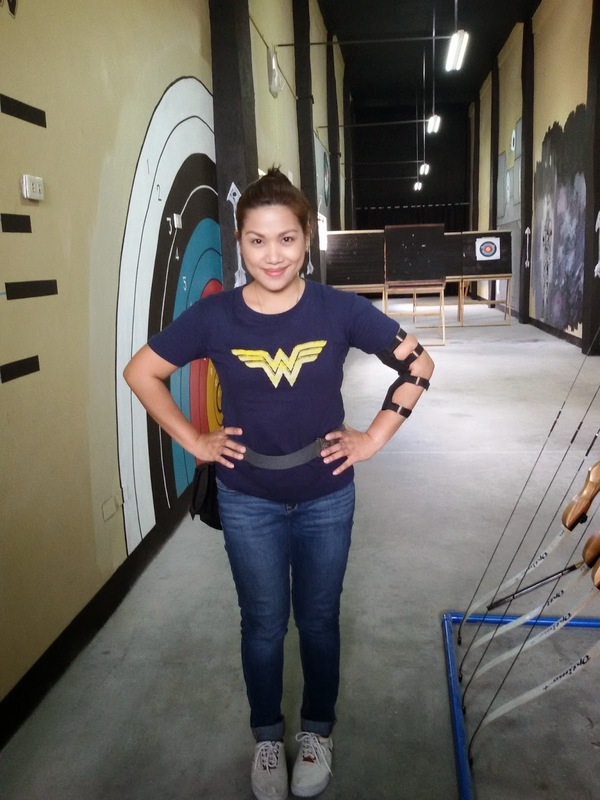 I of course wanted to be a Katniss Everdeen for a day! 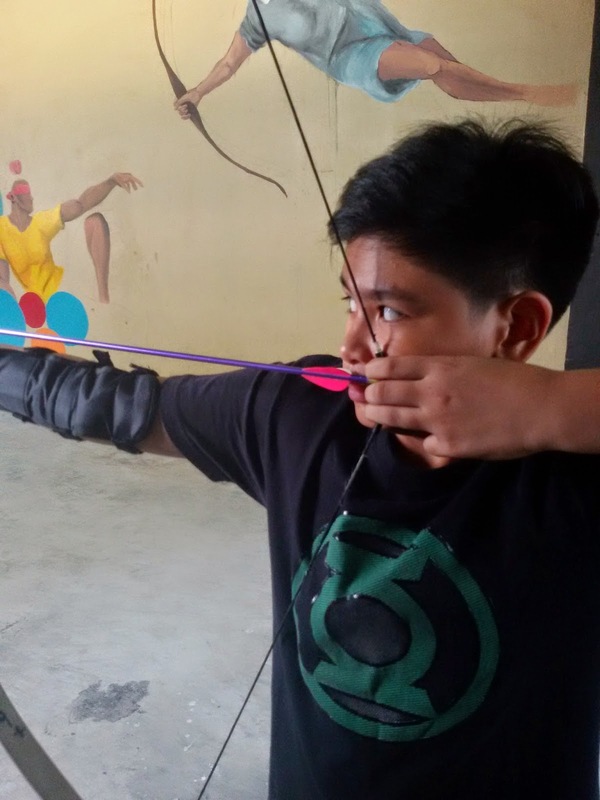 My son was excited when I told him that we' ll be taught how to use a bow and arrow, and actually shoot a target. Who wouldn't right? 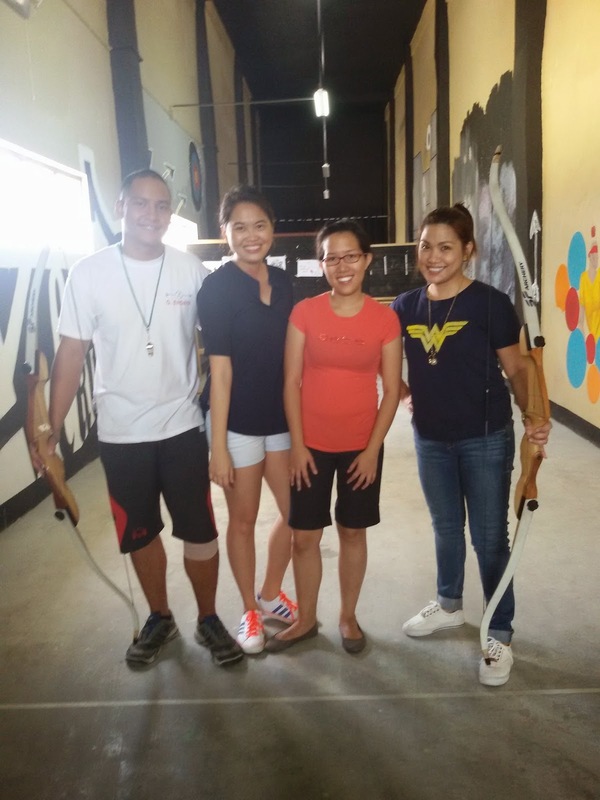 Upon reaching their archery studio, we were immediately oriented about the sport by Coach Gio Endaya. He taught us the basics of Archery such as first how to test your eye dominance, how to properly hold the arrow and rest it on the bow, parts of the bow and different draw weights, how to hold it properly, correct stance, how to shoot, and finally how to retrieve the arrows correctly to avoid any accidents. It wasn't as easy as it looked like. It's not like getting an arrow, setting it on a bow and shooting. It's a precision solo sport which takes a lot of discipline and determination. Archery, like dance, involves graceful movements, correct steps, and body coordination to be able to execute it nicely. 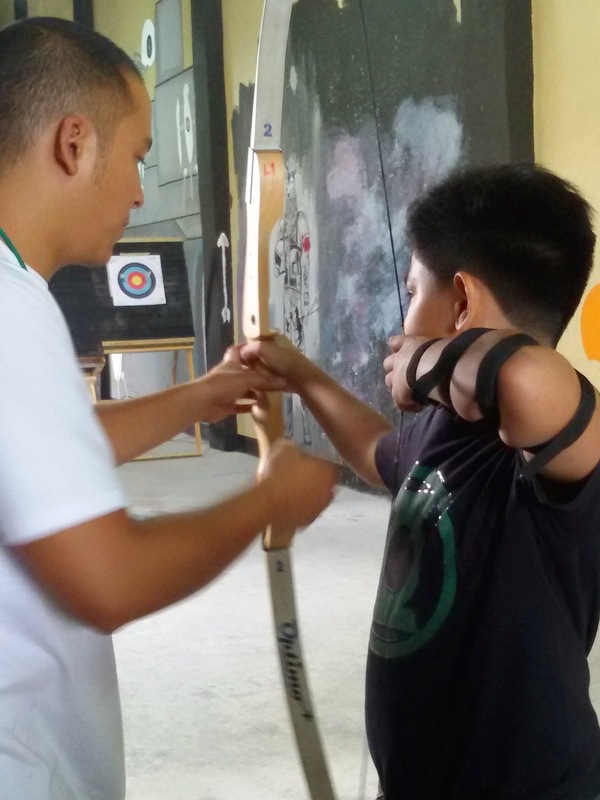 Glad that Coach Gio was patient with the kids, that includes me, and passionately took us through each step of the Archery basics. Coach Gio said that my son and his buddy were very good students. They learned pretty fast compared to others. 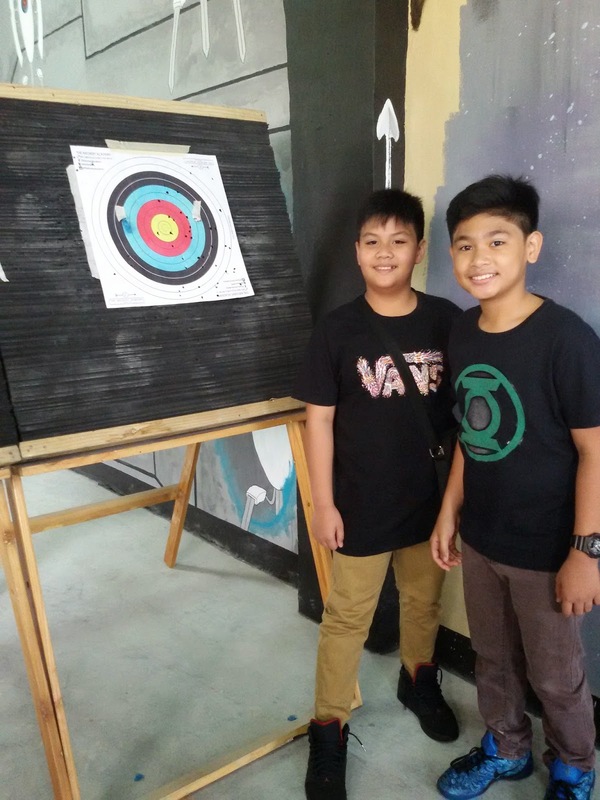 Rica, Gio, and their other partner Rachelle Sison, all archers for years before starting their baby passion project the Archery Academy, all noticed that it was easy to instruct my son and his buddy because they are athletes. My son and his friend play basketball and are very active. My son is pretty curious that he with his friend asked a lot of questions. 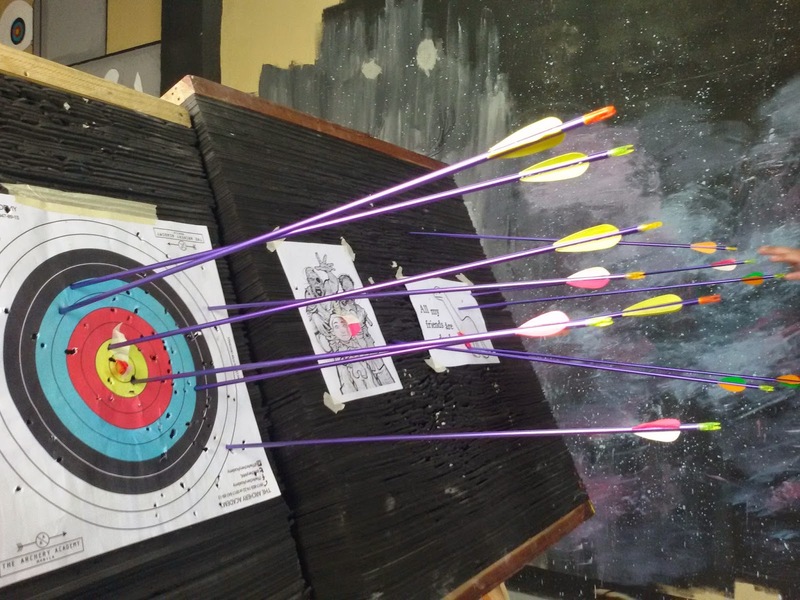 Coach Gio let them try the bows with stronger/heavier strings (for beginners, Archery Academy lets students use 16lbs). 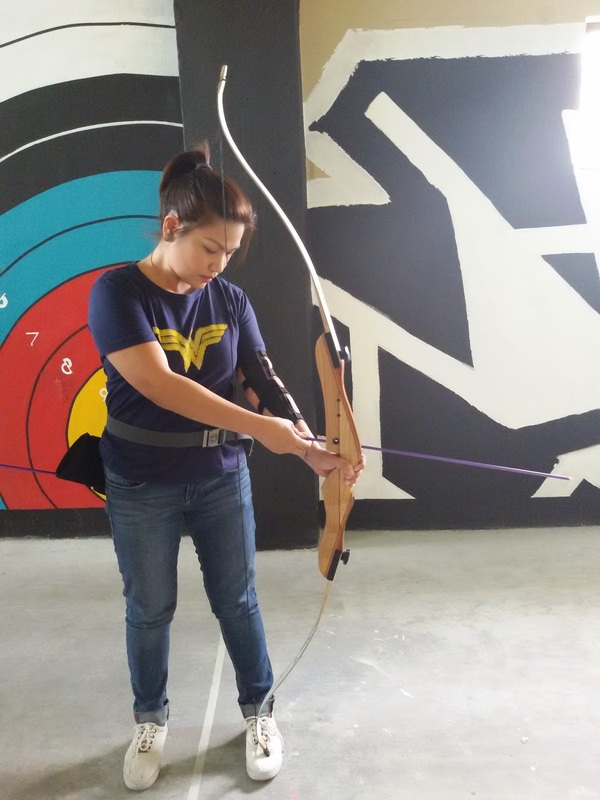 Apart from the whole wonderful experience, what we all like about the studio of Archery Academy are the fun murals on the wall, the depth of the place perfect for shooters of long range, and it provides an environment of focus and learning. 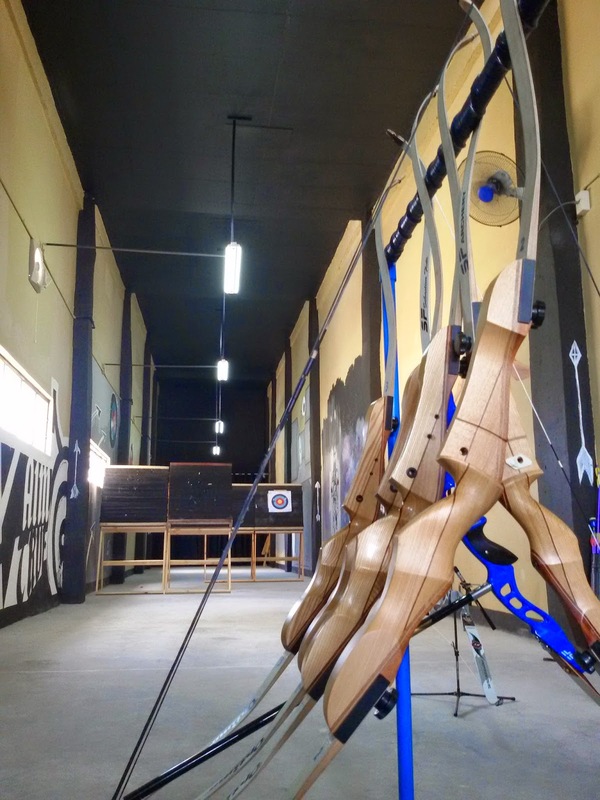 After our trial, I could say that Archery is definitely a sport worth trying, both adults and Kids! 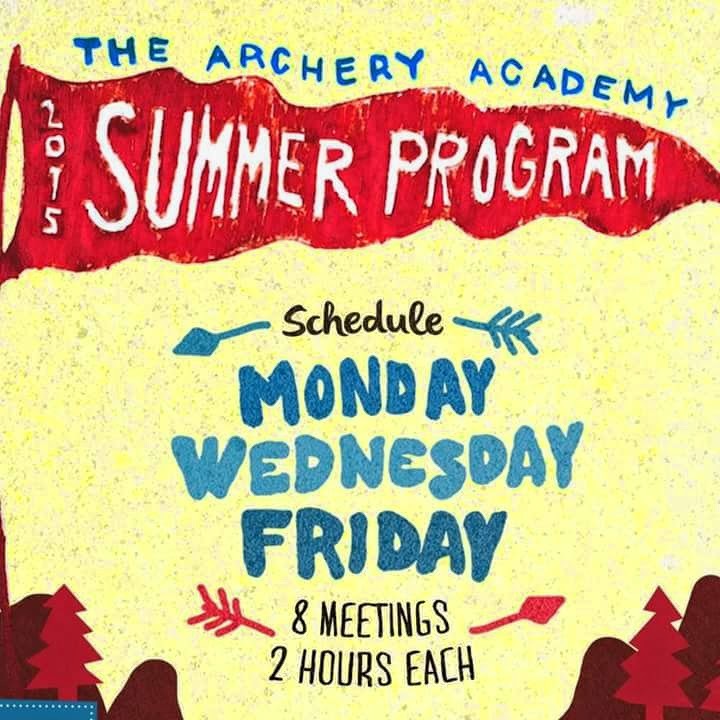 The good news is, Archery Academy is offering summer programs starting April! So you and your kids could also try this challenging but fulfilling sport! This summer, they are offering classes thrice a week (MWF) for 8 meetings with 2 hours each for only Php8,500 for first time enrollees. 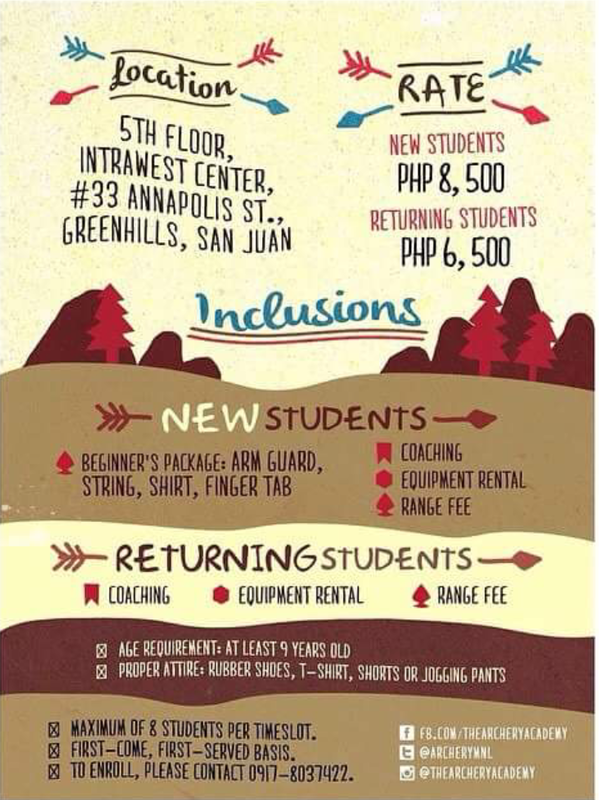 Returning students will only be charged Php6,500. 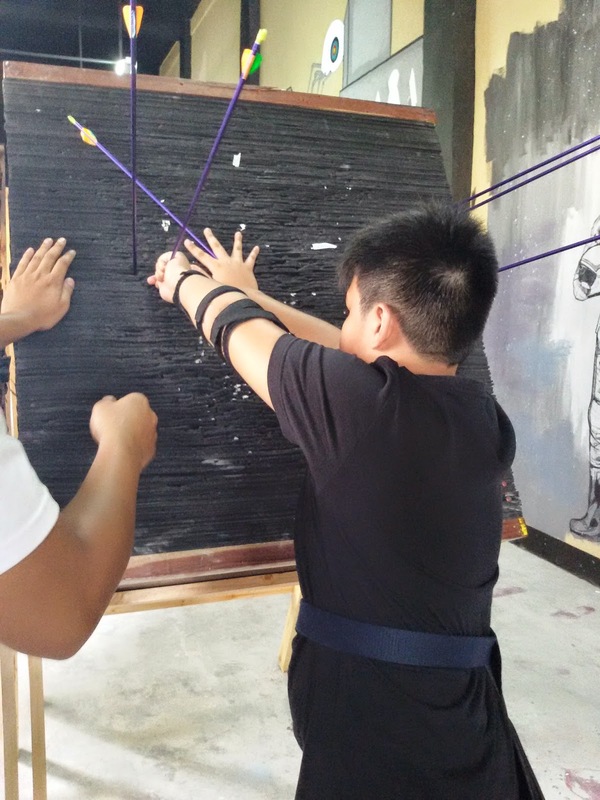 This is because the first time enrollees fee includes their own string, arm guard, finger tab and a shirt, which they will be using for the entirety of their Archery classes. 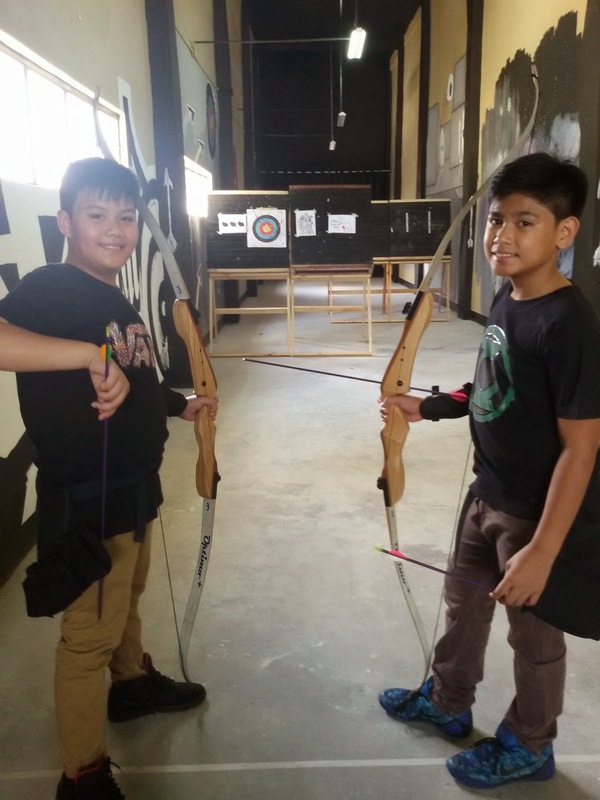 Apart from their Summer Program, the Archery Academy Manila also has a year-round Weekend Program (P5,600/new student and P3,600/returning student) which includes 4 sessions of 2 hours each, every Saturdays and Sundays from 9-11am. A per session rate is also available for only P550/head an hour. 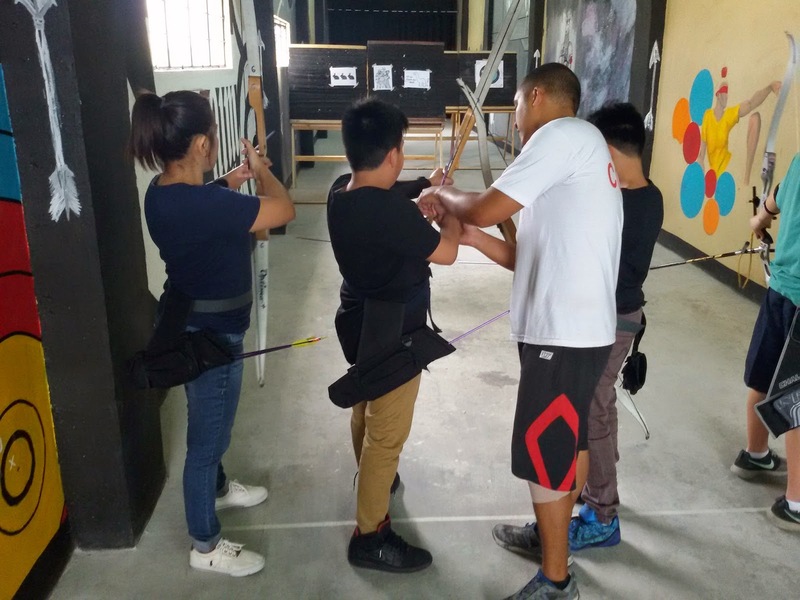 The Archery Academy Manila can accommodate a maximum of 8 persons at a time, so it's important to call ahead of time to schedule your slot. 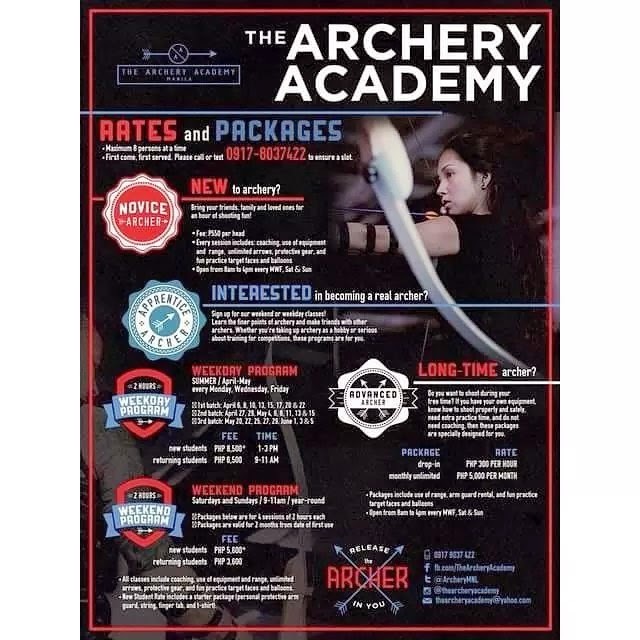 For more information about the Archery Academy Manila Summer and Year-round Programs, like The Archery Academy Manila on Facebook (facebook.com/TheArcheryAcademy) or follow them on Instagram (instagram.com/TheArcheryAcademy).